There is an abundance of fairy places in the Burren. It is like the fairy hub of Ireland. Mysterious hidden dolmens, fairy forts and raths, caves, fairy trees and cairns all combine to provide an experience of the elementals at its best. 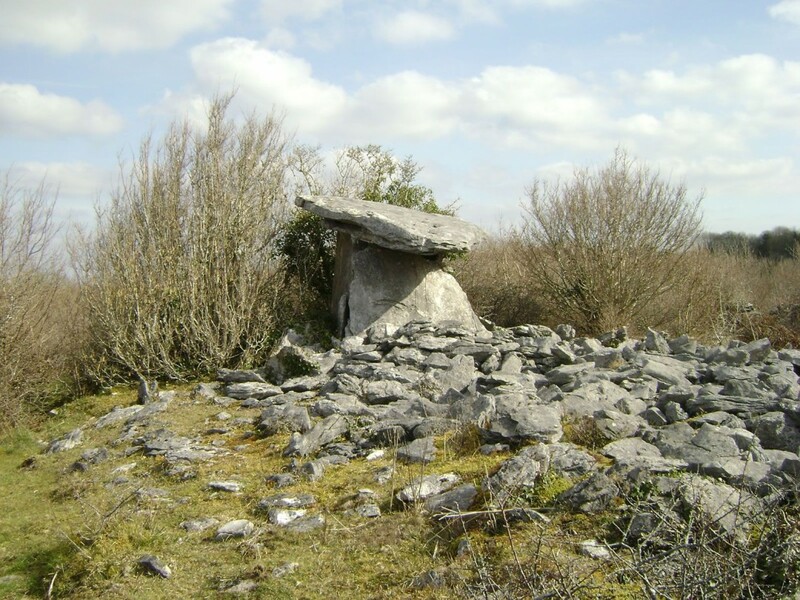 Welcome to the Underbelly of the Burren – the area that lies below the backbone of the Burren hills. I call it the Underbelly because without a good digestion system we do not thrive- and this area is key to the wellbeing of the Burren. It is the source of its many underground rivers. Moreover, I sense it provides the nervous system energetically for the Burren. 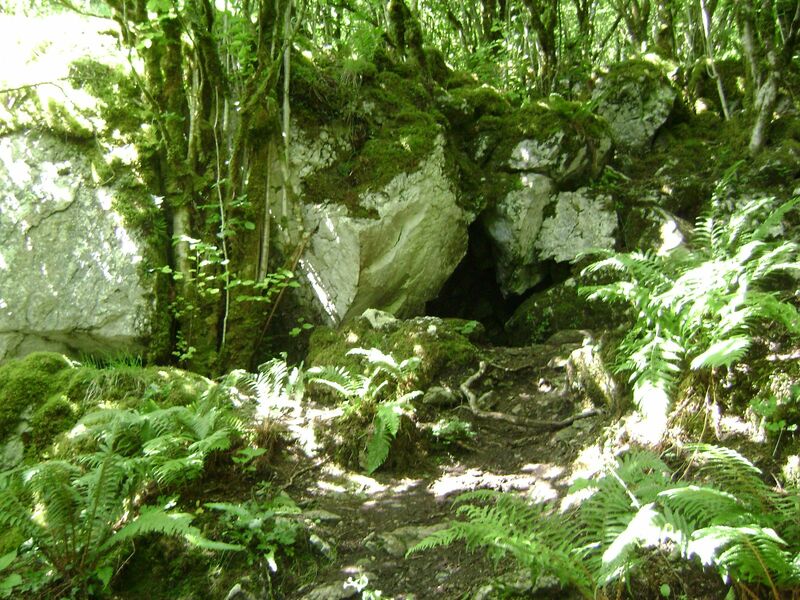 So, be prepared to be surprised as you explore the fairy places in the Burren on this day tour. 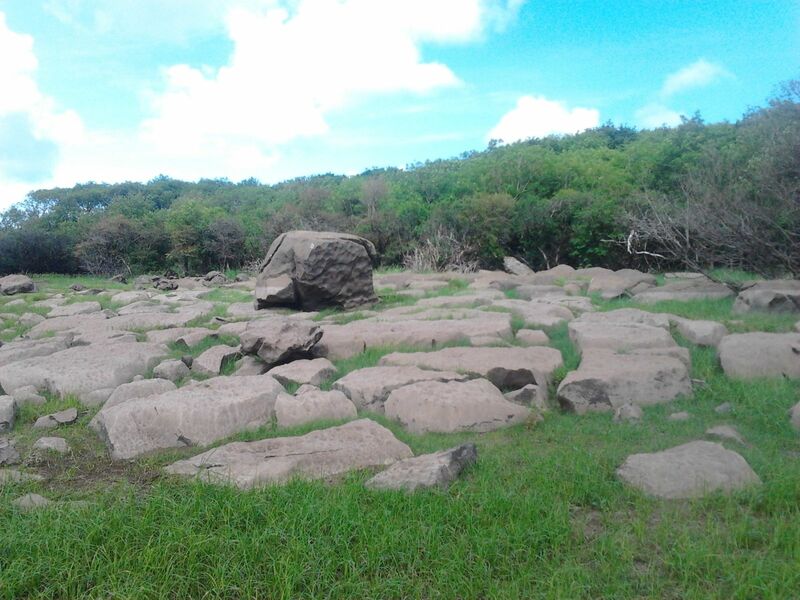 There are many hidden gems here you can explore. 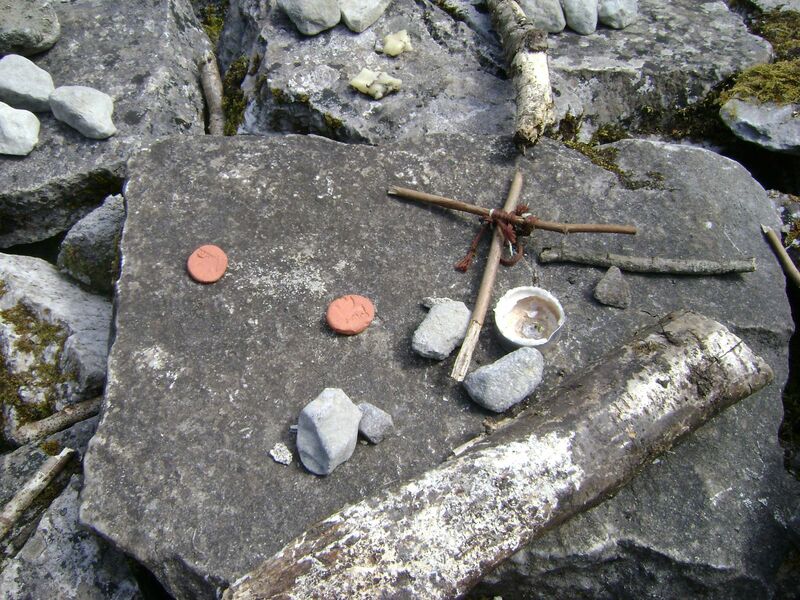 Try your hand at divining and dowsing -learn how to dowse old monastic sites and wells. Or listen to the healing sounds of the gong or drum playing in an underground cave! Tucked under the belly of the Burren hills this rolling countryside is full of elemental surprises. The fairy places in the Burren are so rich that this is like the fairy hub of Ireland. Rivers wind and disappear into the ground with no warning – each year as the water recedes new “swallow holes” appear where the water has tunnelled a new underground route to the sea beyond the mountains. 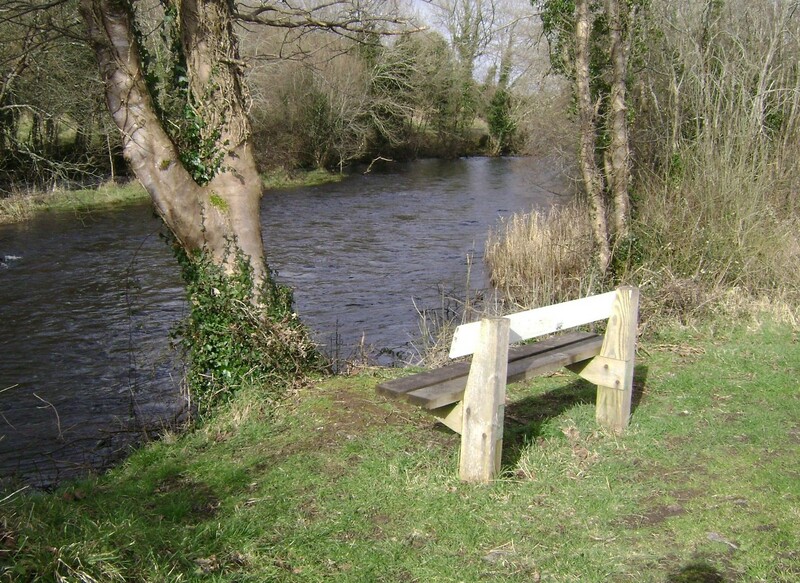 The Punchbowl is a hidden nature haven we visit en route to the peaceful setting of a ninth century ecclesiastical site and holy well up a narrow “boreen”. Traditions are still honoured here. 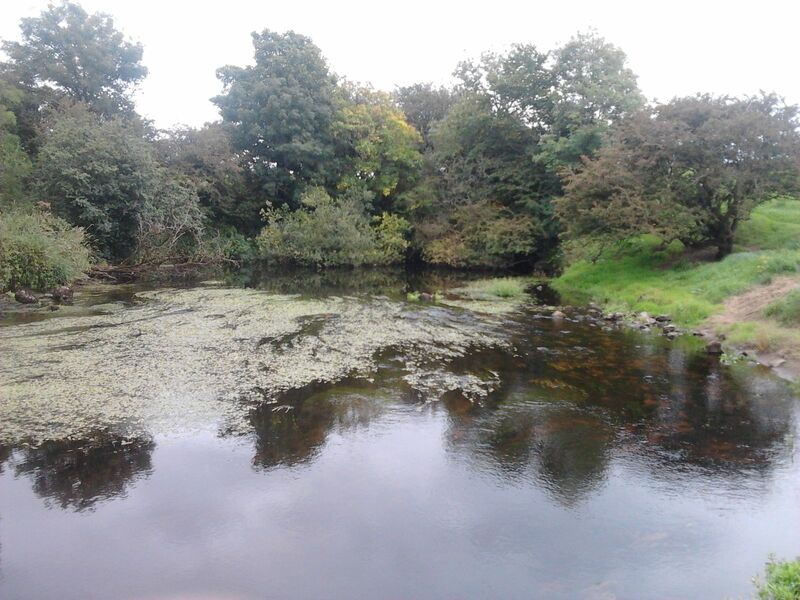 This is still the old Ireland, and yet its stillness also means it can accept the new. 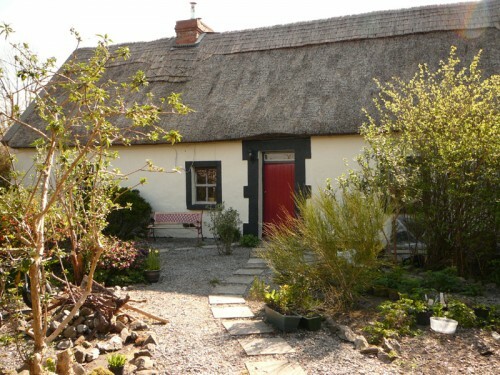 Enjoy a visit with delicious home baking at my artisan friends’ thatched cottage! There are wonderful local legends in honour of St Colman who founded Kilmacduagh was a major ecclesiastic figure in the early Celtic Christian era in Ireland. 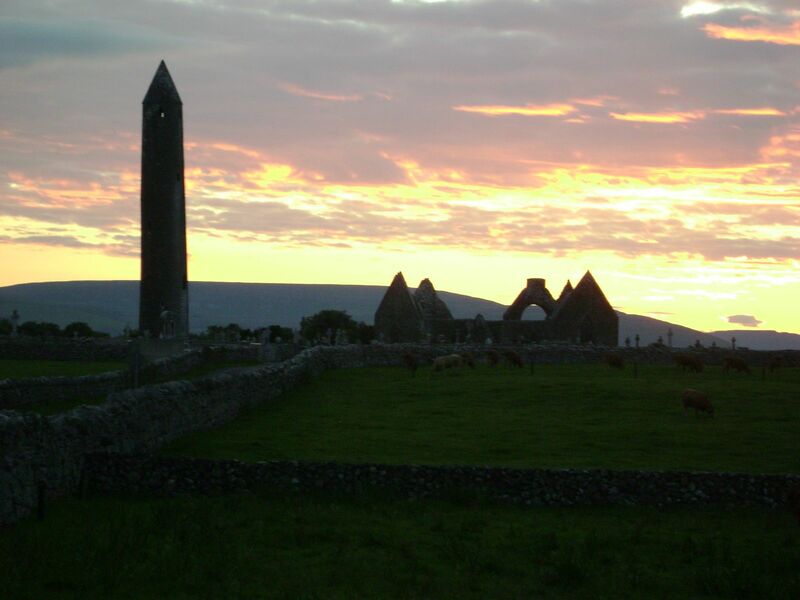 Ireland’s largest round tower still remains intact at the monastic site of Kilmacduagh, a major hub of learning and culture for the West from the seventh century onwards. Using dowsing rods, you can explore dowsing ley lines there with me. These energy lines link the various church ruins. Flanked by the backdrop of the Burren hills in the near distance Kilmacduagh is a haven of tranquility. It is overlooked and yet was as substantial as Clonmacnoise on the Shannon once. 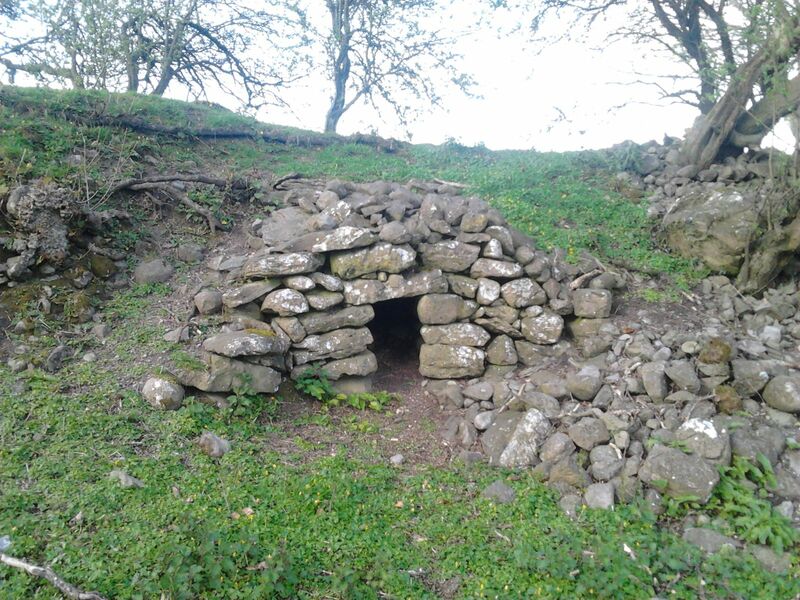 First you can take a walk through wild flower meadows and limestone pavements to visit St Colman’s hermitage at Eagle’s Rock and learn of his old pilgrim path that connected the ancient wells in the local parish. 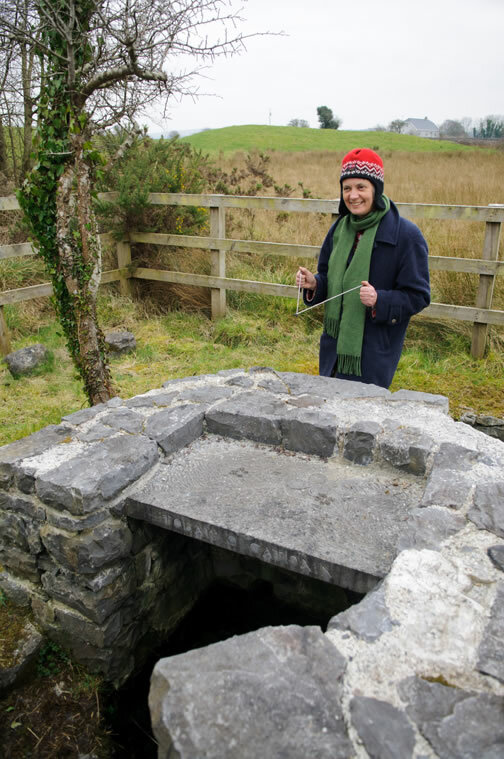 Some of these wells have been beautifully restored by farmers, some of whom are expert dowsers in their own right. Come and try to dowse them yourself! The two places that really resonated with me were the cave from where the river emerges and hearing the gong played in the beautiful ruined church site. Let me know when you are running the next one – I want to come! Thanks so much, I really enjoyed the day and you brought us to some lovely sites. It was interesting to visit the Burren and experience it from a different viewpoint.